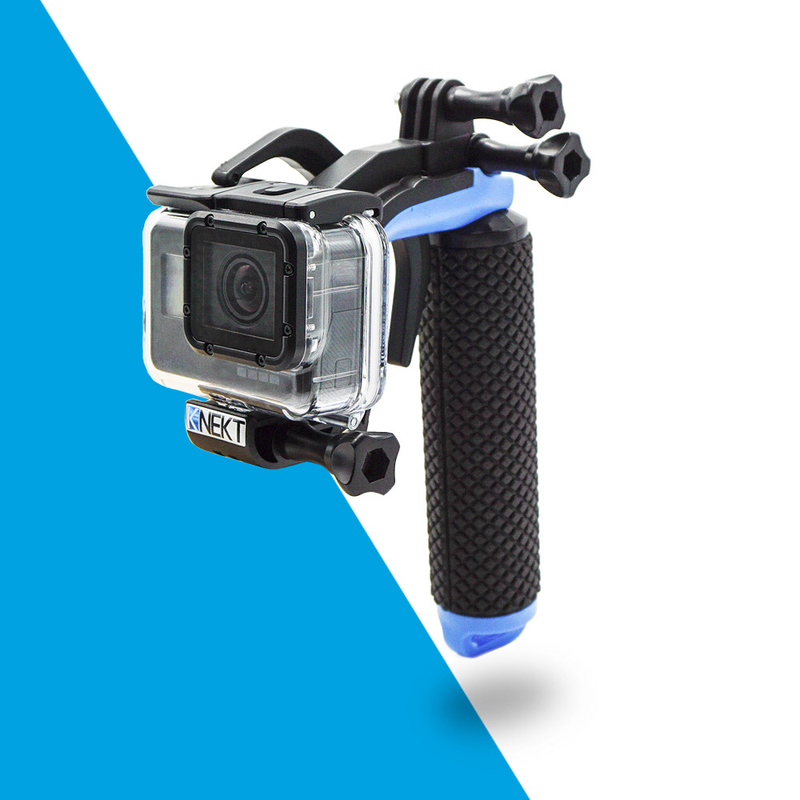 KNEKT make the best accessories for surf photographers who use GoPro cameras. I’ve got several of their products and they’re all very well designed and super hard wearing. They use a trademark orange colour and most of their kit is made from aluminium. They’ve done a lot of research and development into gear that will really help take better photos with your GoPro and it’s led to a lot of people copying their designs. The difference in the past has been KNEKT products are made in the USA from premium materials to very high standards, and that’s still the case for their orange range. But this Friday they’ll be releasing their new Blu-line range of affordable accessories. There are a few more images of the dome on KNEKT’s Instagram page. 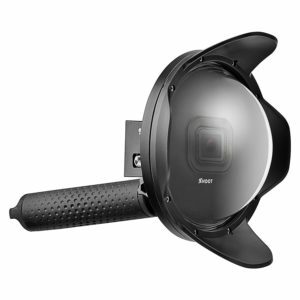 It’s good to see the original designers of this type of GoPro dome getting into the middle range of the market, I’d be happier to recommend their dome and trigger compared to the cheaper ones you can get. The KNEKT BLUline BLT trigger looks a bit like the SP Gadgets trigger that I compared to the KNEKT GPLT trigger when I first saw it. The BLUline BLT trigger looks like it’s got an extra mount on the top and a slightly different design of handle too. So we can assume that they’ve worked with a manufacturer, likely in the far east, to tweak an existing design and make it available for significantly less than their premium orange line. What they are already doing better than any of the other off-brand GoPro accessory makers is creating real images of the products in use. Most of the alternatives feature bad composite images of the products (some of them use photos taken using KNEKT’s products to advertise their copies), KNEKT have taken the actual products out and documented them being used, that’s a great sign. Are the KNEKT BLUline products a substitute for the Orange line? They do stress that these BLUline products are not designed for the same durability under the stress of surf photography in breaking waves. The tag line is: “Necessities for the every day adventurer”, and the promo shots are of flat water scenes like waterfalls and snorkelling. Surf photographers will be better off with the orange line if they’re going to use it in waves of any size. KNEKT have done a good job of building a trusted brand and I’m sure that this new range will be a great extension of it. 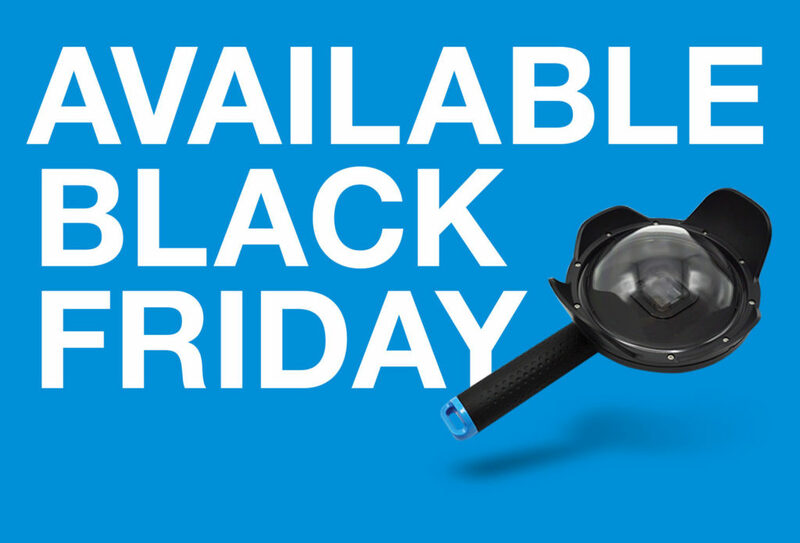 If you’re in the market for a good value trigger and dome for your GoPro I’d check out the KNEKT site on black Friday for the launch. If you want to use your GoPro in surf, then go for one of their fantastic Orange line products and you won’t regret it. You can order the BLUline products through KNEKT’s website starting on Friday 24th November here. You can get their Orange series products through the same site and Amazon. It’s interesting that they have the hoods on the dome port. Yeah, I think they make more sense for flat water use, and that’s definitely where KNEKT are pitching this range.